No matter your age, you might find yourself looking at a less than attractive credit score. Having a credit score that is on the low end of the scale can cause major problems from higher APRs, the inability to get approved for the best credit cards with rewards and more. In this article, we are going to talk about how to raise your credit score with a credit card. If you think you are going to get a credit card and immediately see your credit score shoot up, you have another thing coming. When you get a credit card to help raise your credit score, you need to be willing to wait on the increase. Make sure you always pay your payments on time, and you want to keep your utilization rate below 30% across all of your credit cards. Each credit card that you get, maintain and keep a low balance, the better it will show on your credit. Those of you applying for a credit card with a less than stellar credit history and credit score may find that you aren’t able to get approved for the best credit card offers. 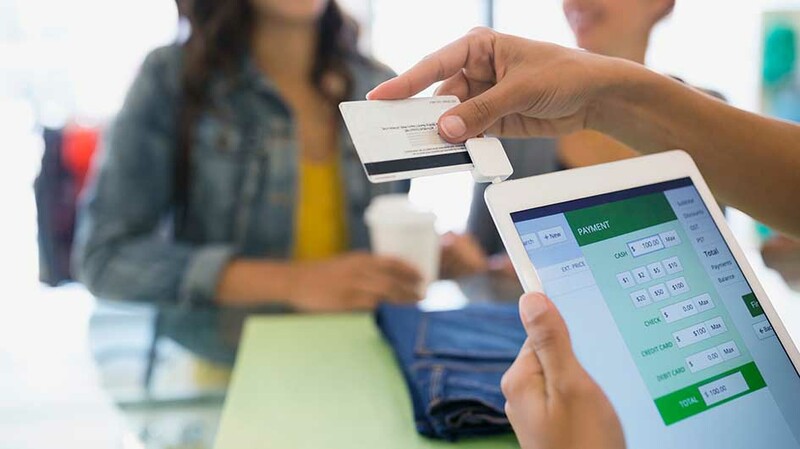 As long as you manage cards responsibility, even if they have high APRs, you aren’t going to feel as severe of a hit since you won’t be carrying a large balance and paying lots of interest. If you are paying off your credit cards each month, but you are spending right when credit cards are reporting to the credit bureaus, your score isn’t going to show up as well because your credit card utilization is going to be high. On the other hand, if you carry a balance but pay it off a couple of days before they report to the credit bureaus, you are going to have a lower credit card utilization rate which is going to help your credit score stay its highest at all times. Whether you are using a 0% APR credit card or a card with a high APR, it doesn’t matter. The important thing is that you are using the credit line responsibility. You can show the credit card companies that you are able to use the line of credit without being late or charging over your credit card’s limit. When you look at your credit score and see that 800 is the highest, that means they think there is an 80% chance that you are going to pay your debt back. The same goes for a credit score of 500. They think there is a 60% chance that you are going to pay your debt back. It is important to understand how your credit score works and what it means if you want to be able to do things properly and get the best interest rates and offers. When you are using your credit card, it can be easy to get out of control with purchases. You see something that you want and immediately charge what you want to your credit card. If you aren’t paying attention to how much money you have left until your credit card limit is reached, you are likely to get in over your head and end up in a worse position than when you started. It is a good idea for you to keep track of all of your purchases and treat your credit card the same way you treat your debit card. While it may be tempting to pay off your balance and close your account, the longer you use your credit, the more easily predict your behavior is to lenders. The sooner you open a credit card and start using it like a responsible person, the better since your credit score will be higher the longer you have your credit cards. If you are constantly opening and closing accounts, this is going to hurt your credit score. Keep good relationships with credit card issuers and other accounts that you have so you can get the highest credit score possible. While you may think paying off an account will help your credit score, that isn’t the case, and it is better to keep the account open as long as possible so you can show how well you can manage lines of credit. The more you use your credit card wisely, the better credit card offers you will be able to get. Make sure not to open up too many new accounts since it will decrease the age of your credit, but you should have enough accounts open so that debtors will be able to see the patterns of responsibility in your credit history. Even less than pristine credit card be remedied when you show that you are now responsible with your lines of credit. Choosing the right credit card to raise your credit score is important. The better your credit score, the better credit card offers you will receive. If your credit is on the lower end, then you may have to get offers that are not as attractive as the ones people with high credit would get, but you can build up to getting better offers as you prove your ability to manage credit.